Notícias interessantes sobre o mundo do Metal. Os Suécos Diabolical que vão estar em Portugal em Março para data dupla com Septicflesh e Krisiun revelam novo videoclip/single "Betrayal" para o novo trabalho "Eclipse" a sair em Fevereiro via Indie Recordings! REVEAL NEW VIDEO/SINGLE "BETRAYAL" FOR THE NEW ALBUM "ECLIPSE"! 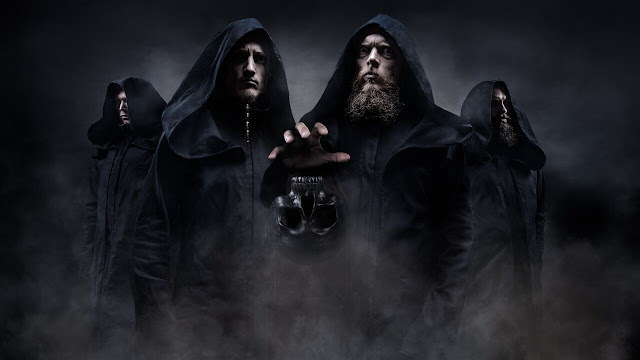 The blackened death metallers DIABOLICAL are premiering the second single and music video “Betrayal”, taken off their sixth studio album “Eclipse”, to be released on February 15th via Indie Recordings. 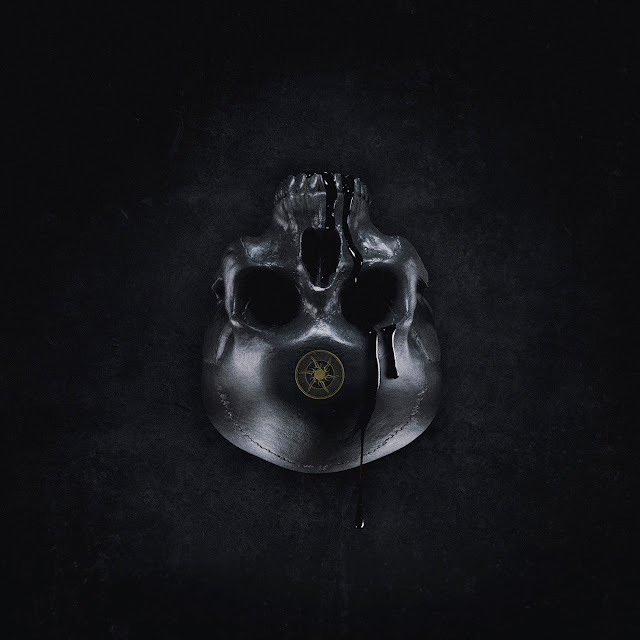 Drummer Pär Johansson comments: "The lyrical content of this song is based around the subject of betrayal and is consciously written to serve different ontological realities, whether it's on a global or a personal scale. The musical side of things is heavily influenced by some of my all-time favourite musicians and big chords are to be expected. Force the end!" 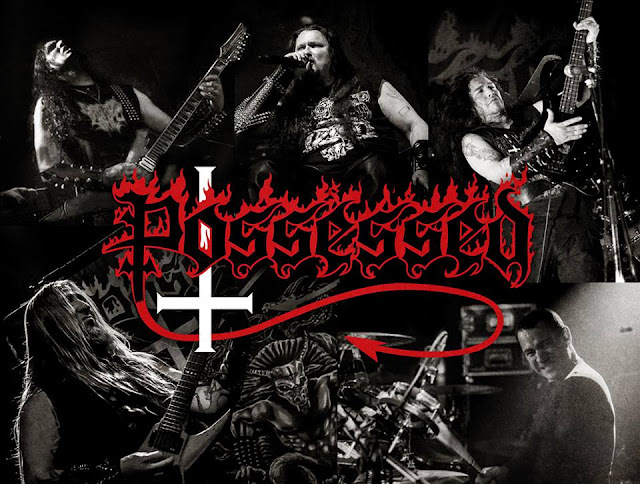 POSSESSED NEW ALBUM OUT IN SPRING 2019! North American death metal godfathers POSSESSED have just announced that the new and much awaited album will come out during spring 2019. Jeff Becerra band founding member has commented: "New album slotted for a "Spring 2019" release. Be patient it's coming!!" Meanwhile the band has unleashed a brand new World Wide Web Official Webpage with all the updated information about POSSESSED! Make sure to subscribe for the band mailing list for upcoming events & information and with it you will receive a brand new song from the band, so what you are waiting for? ORDO DIABOLI - THE ORDER OF DIABOLICAL! The blackened death metallers DIABOLICAL supporters have been invited to join Ordo Diaboli - The Order Of Diabolical. 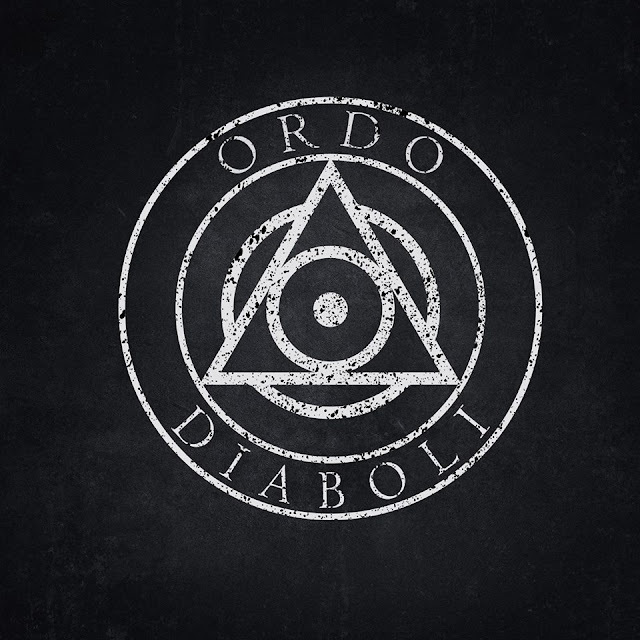 As a member of Ordo Diaboli you will be closer to the band, and DIABOLICAL will have closer communication with you. 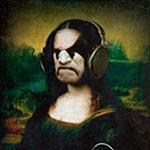 Also, today DIABOLICAL launch a special website, which only this special members will get access to. At this website you will find the story behind the band new album "Eclipse" with song excerpts, behind-the-scenes footage and exclusive content DIABOLICAL will not share in any other places. Taken from the forthcoming album "Forgotten Paths". Guest vocals by Neige (Alcest). Lang, já ouviste este avanço? UK extreme doomsters Esoteric are set to begin recording their seventh full-length album on the 11th April at vocalist/guitarist Greg Chandler's Priory Recording Studios in Birmingham. 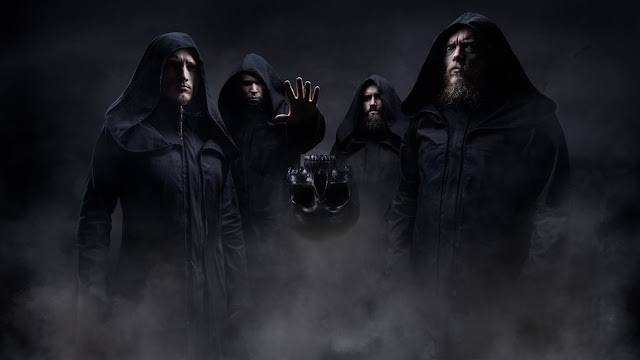 The as yet unnamed album will be the long-awaited follow-up to 2011's Paragon Of Dissonance and is expected to be released on Season Of Mist sometime during 2019. 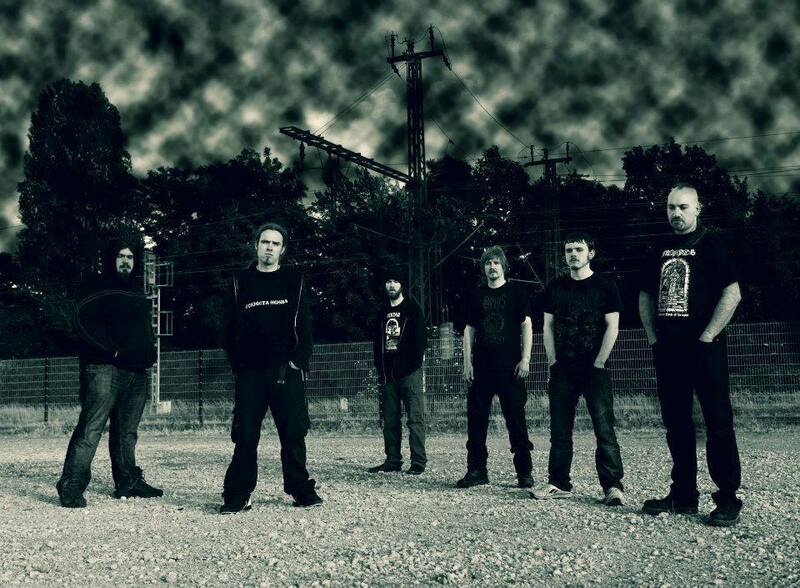 Esoteric are anticipating completing the album in May. Stay tuned for more. Verdade, mas se a coisa fosse neste sentido, agradaria-me bastante! Os Suécos DIABOLICAL lançam hoje o novo trabalho "Eclipse". DIABOLICAL RELEASE TODAY THE NEW ALBUM "ECLIPSE"! The blackened death metallers DIABOLICAL have released today their sixth studio album “Eclipse” via Indie Recordings. 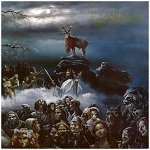 Já disponiveis as re-edições dos trabalhos "Suicidal Salvation" e "Emissaries of the Darkned Call" dos Polacos Black Altar! BLACK ALTAR "SUICIDAL SALVATION"/"EMISSARIES OF THE DARKENED CALL" OUT NOW! 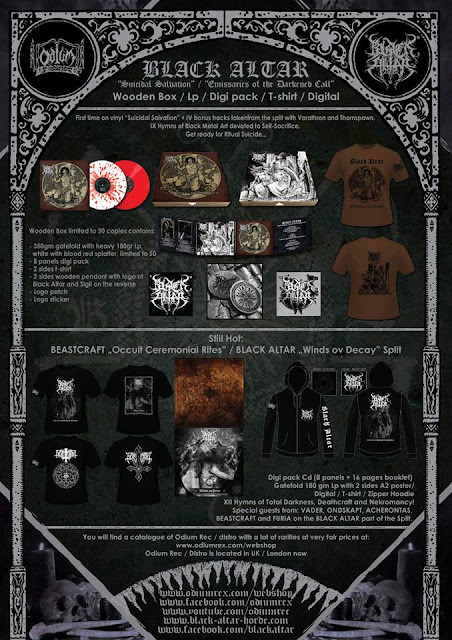 Black Metal demonical force BLACK ALTAR "Suicidal Salvation" / "Emissaries of the Darkened Call" cult pieces have been re-released now via Odium Records! BLACK ALTAR : The Sentence : From "Suicidal Salvation"
BLACK ALTAR : NightHunter : From "Emissaries of the Darkened Call"